Is he just a guy friend? If you need to buy a Secret Santa gift for him, this list won’t disappoint. We’ve got funny gifts, serious gifts, artsy gifts, and a whole bunch of other Christmas gift ideas for men who are your co-workers below. 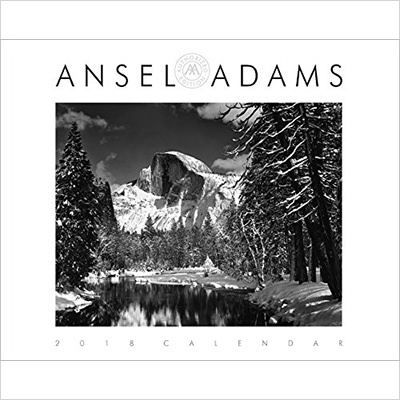 Ansel Adams is one of the best known and most iconic photographers in history, and this high quality printed calendar does justice to his work. If there’s a guy at work who’s into fine art photography, American landscapes, or vintage art, this will be right up his alley. Not to mention it will add a touch of class to any type of office décor, no matter how drab. Some may argue a gift card is a boring, impersonal gift, but the truth is it can be quite thoughtful, especially when you’re gifting it to a co-worker, whom you may not know all that well. Instead of giving him something he’ll have no use for, why not let him redeem his gift card at the world’s biggest online mall, and actually pick something he needs or likes? 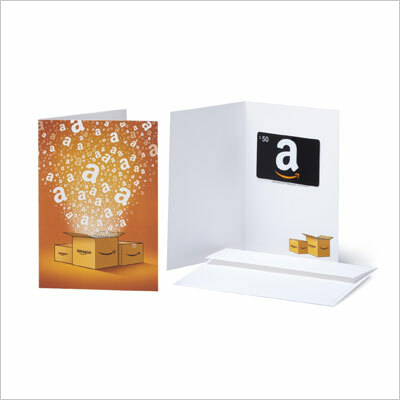 The greeting card is customizable, and the gift card can be redeemed within a year. This stainless steel lunch jar from Zojirushi Mr. Bento is very much like a lunch box—only cooler. It’s all the more awesome because you can theoretically also carry liquids such as soup to the office. 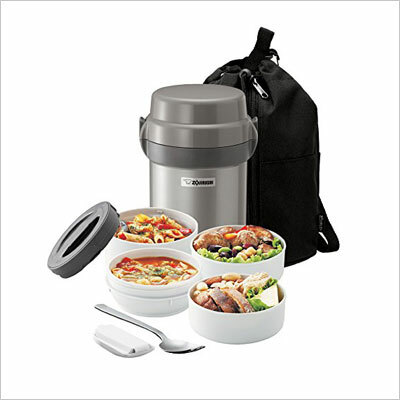 It comes in four different colors, contains four bowls, and can keep the food either hot or cold. It also comes with a carrying bag, so your guy friend at work can carry it with ease. Yes, it’s entirely appropriate to gift a guy at work office supplies – so long as he might actually need them. 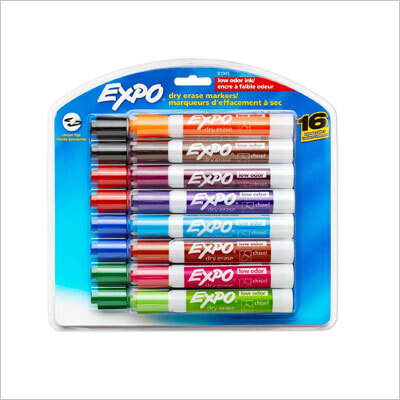 If this is someone who makes a lot of presentations, or likes to use the whiteboards often, then these dry erase chisel tip markers will come in very handy. To boot, with 16 colors in the set, he might actually consider pursuing an art career after decorating the board with an impromptu fresco. If a fruit basket strikes you as a kind of inappropriate gift for a guy, don’t worry: this one is man-proof. That’s because it includes none of that dried pineapple, mango, or papaya stuff that men won’t touch if their lives depended on it. It’s chock-full of savory goodness, with a nice assortment of cashews, almonds, pistachios, and mixed nuts, perfect for enjoying with a pint of beer. 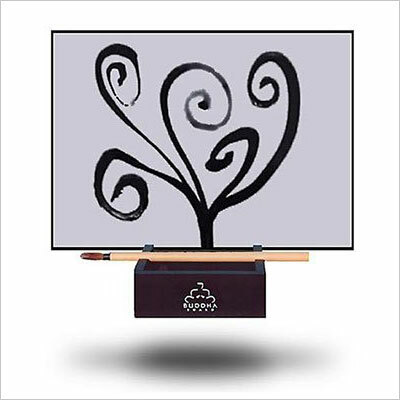 The Buddha Board is perfect for that one guy at work who always seems a bit too high-strung for his own good. The concept behind this desk toy is that the water-based color on the board will fade out as the water evaporates, thus allowing the author to look at things from a different perspective. To boot, it’s environmentally friendly! 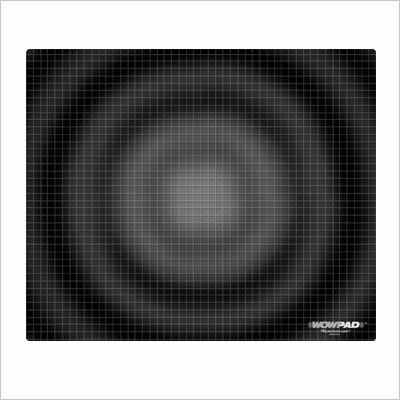 This anti-static, easy-to-clean mouse pad is perfect for those who prefer using a mouse with their laptops, since it’s so thin it can be stored right inside the laptop. It also works perfectly with desktop computers, and can be used with good results with both an optical and a traditional mouse. Its patented design promises to offer the smoothest tracking possible for your male co-worker’s mouse. Zen gardens are in, and this one really is a beauty. 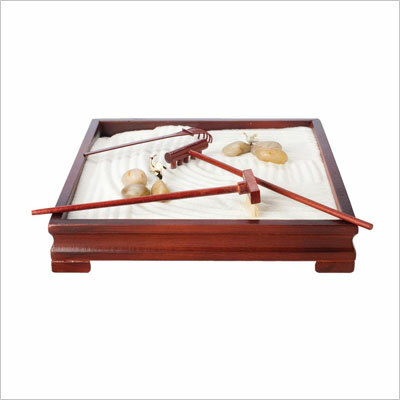 It features a rosewood-finish tray, purified sand, polished rocks, two ceramic cranes, a wooden rake, and one in bamboo. The gift also includes a book of meditations – and the rest is up to your co-worker. Just tell him to let his mind run loose as he draws patterns in the sand. 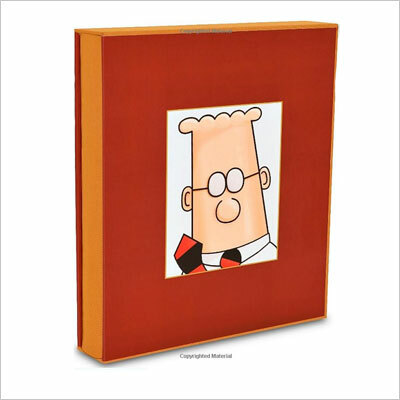 The Washington Post’s Scott Adams came out in 2008, with a slipcase collection including more than 600 pages, and weighing in at an impressive ten pounds. There are some 4,000 comic strips in there, covering all the five different eras that Dilbert saw throughout his office career. 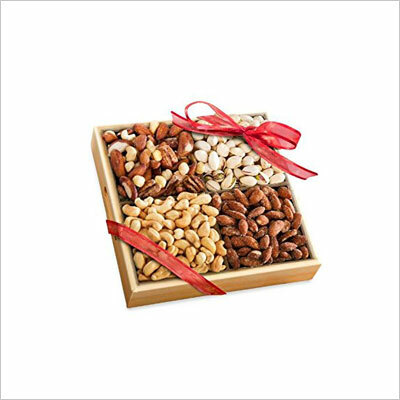 If your male co-worker’s got a funny bone in his body, he’ll appreciate this comprehensive gift. This comes in either blue, red, or green, and it features a man on a toilet seat – nothing like an innocent bit of potty humor to lighten up the atmosphere around the office. It works as a pen holder, tape dispenser, cutter, and paper clip magnet. It also has a notepad, to jot down those great ideas inspired by, well, the toilet, as it were. 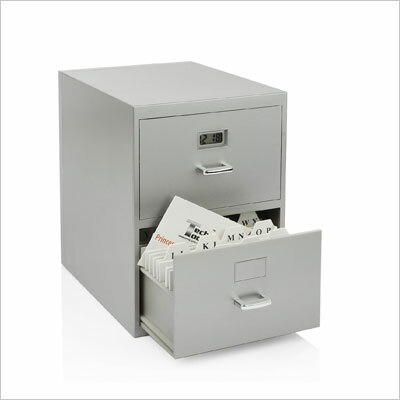 Is it a file cabinet, a digital clock, or a business card holder? That’s up to your guy friend at the office to decide – because, if you ask us, it’s all of the above. The gift includes the A-Z index cards pictured above, as well as a digital clock that also shows the date in the top drawer. 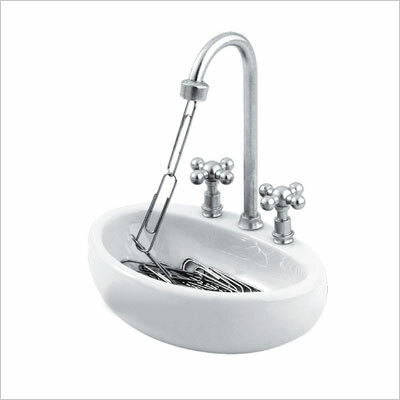 It looks very much like a real-life sink, when in fact it’s a paper clip holder that works with magnetic force. It’s fun, it’s eye-catching, and it could even provide a few good laughs and conversations around the office. It comes with a few paper clips included in the box. 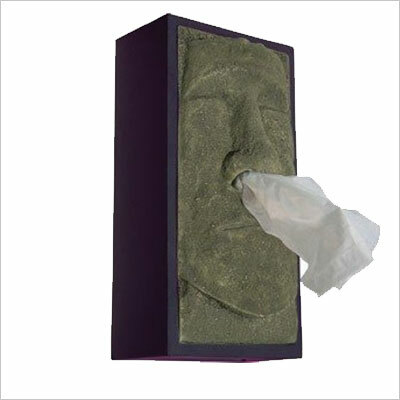 The product’s description on Amazon says this Tiki Head tissue box cover is “truly great for the person who has everything”. It also says the head’s name is Rudy, and that he’s too cool for any retro décor. We don’t know about all that, but we do know the idea of pulling out paper tissues out of a Tiki head’s nose is funny. If your giftee has a sense of humor and/or an appreciation for luaus, this might just be the perfect gift for him. 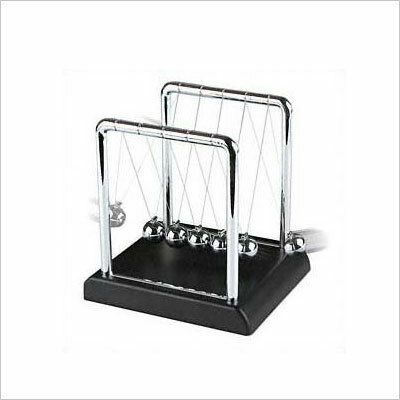 Okay, so Newton’s Cradle may not be the most exciting or innovative of gifts, but who doesn’t love it – seriously now? It defies logic, what with the impression of perpetual motion it gives off, and it’s almost hypnotic. It teaches physics (via Newton’s kinetic energy concept and Einstein’s Theory of Relativity). And besides, having one of these on your desk means you’ve made it… or something. 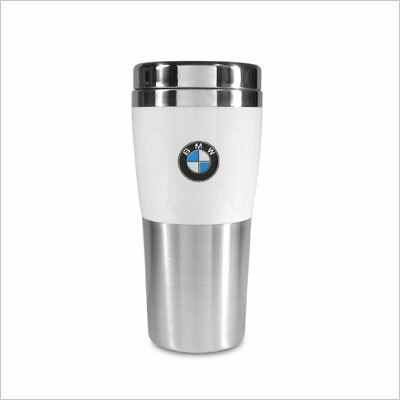 This travel mug was conceived to fit in all BMW vehicles, but it can also be used as a commuter’s mug – so what if your co-worker bikes to work? That would make it even funnier that he’s holding a BMW-branded item. The tumbler has a press-on lid, a sliding open/close mechanism, and it’s fully insulated. It comes both in white, as well as in silver. Your artsier colleagues would definitely appreciate this ‘melting clock’ inspired by Salvador Dali’s famous “Persistence of Memory” painting. 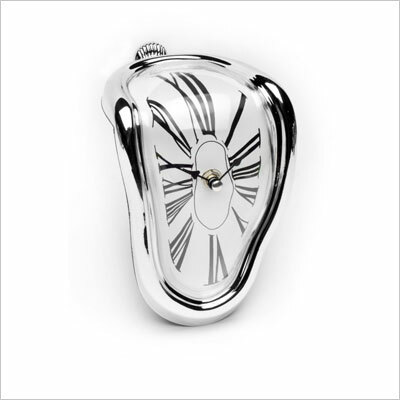 The casing is plated in chrome, and the movement is precision quartz. In terms of décor value, this item is most definitely a conversation piece, as well as a potential ice-breaker, so we hope to see it featured in as many offices as possible. Have you recently heard any dude around the office complain that his lunch keeps mysteriously disappearing? 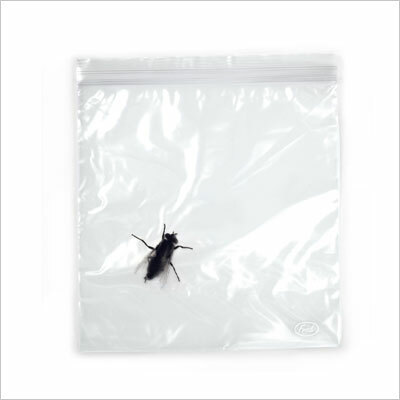 Time to gift them a set of Lunch Bugs, resealable zip-lock bags from Fred & Friends. They come in two designs and can be reused – and many of the online reviews say they work like a charm to keep intruders away from their lunch. 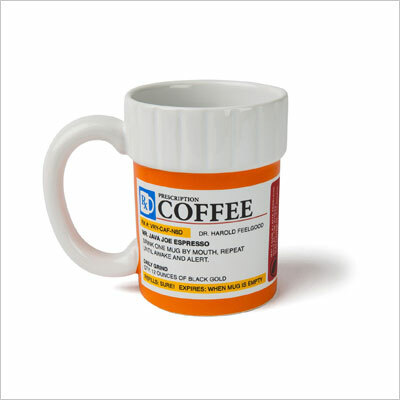 Got any coffee addicts around the office? They’ll just love this coffee mug that seems to have been custom-made for them. You know them: those who look like their world is about to come crashing down before coffee, and turn into actually efficient human beings only after they’ve had their poison… They’re a fun bunch, aren’t they? 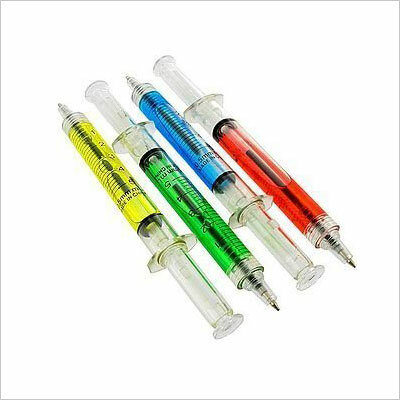 If you go ahead and order that coffee mug above, why not toss in a set of these syringe pens, too? After all, they work well together, and they’re particularly funny if you work in the medical field or any related fields. 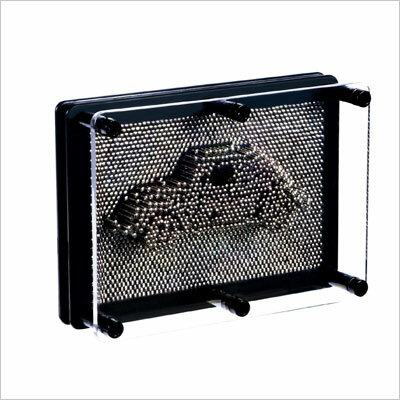 Like all desk decorative items, the pin art frame is a classic. And everybody knows you can’t go wrong with a classic, especially when we’re talking about one that so heavily relies on your giftee’s sense of creativity (as well as on his boredom…). If he’s the type to enjoy doing stuff with his hands, or if he’s constantly seen doodling, then pin art may be right up his alley! We’re at the end of our massive collection of Christmas gift ideas for men, and we hope you’ve managed to find at least one gift that you’re dying to order for the special man in your life. We’re sure you also have some cool Christmas gift ideas for men of all kinds, so we encourage you to leave us a comment down below with your gift suggestions. We look forward to hearing from you, and happy shopping!